This small, cozy place is tucked away at Gang Kecapi at Jalan Petitenget. 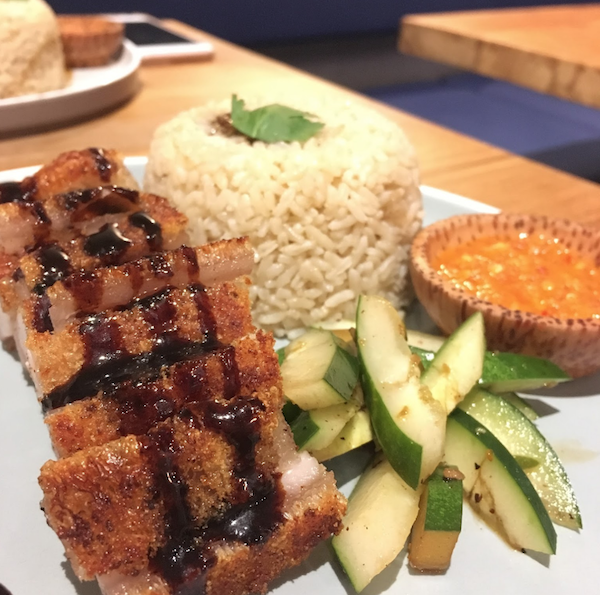 Atlas Kitchen and Coffee serve hearty meals of Southeast Asian cuisines. What I love the most about this place is the presentation of each dish. Each plate is created with a visual presentation in mind. A bit reminiscent of fine dining. Except Atlas Kitchen and Coffee doesn’t just please your eyes, they’re here to fill your hungry stomach. It’s easily one of my favorite places to eat in Seminyak. 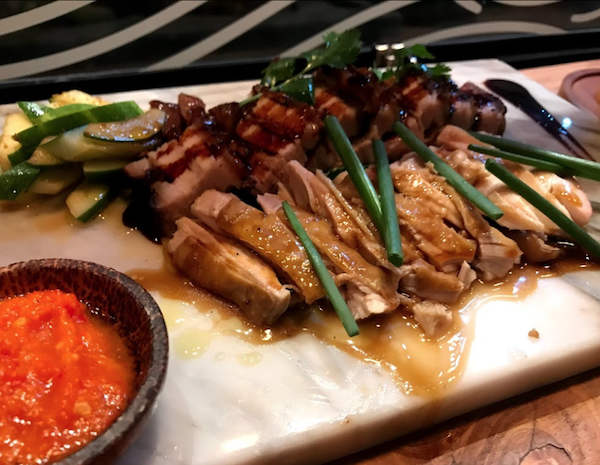 Enjoy their All-Day dining of Governor’s Breakfast, Honey Butter Chicken Waffle, Ala Carte dishes of Hainanese Chicken, Pork Belly Stirfry, and many others. They also serve Malaysian favorites such as the Canai and Curry Laksa. More information on Atlas’ menu here. Their specialty coffee is also very reasonably priced! Coffee prices start at 25K and the steepest is 32K. This is the price of the coffee you’d normally find in Denpasar, not in a touristy area like Seminyak and the Kuta area. Enjoy tasty coffee here with really good value for money. Check out their website at atlaskitchen.coffee for more info! Read more: Things to Do in Seminyak: Art, Culture, and Party! Warung Nia is one of the most popular dining spots for both tourists and locals. This is the place where you can taste some authentic Balinese food (not as cheap as you’d find at a legitimate warung, but it’s not overpriced either). And the presentation of their food is one of the things I like the most about this restaurant. Their pork ribs menu is one of the things this restaurant known for. Their pork ribs set was priced at 195,000 IDR. The set includes 3 sticks of satay on top of fried rice, sauces, and 3 small bowls of vegetables. It’s a pretty good value for money. The price for hot tea is 20,000 IDR, which was many times higher compared to most Indonesian establishments (teh panas/es teh is usually priced 3,000 IDR to maxi 10,000 IDR). 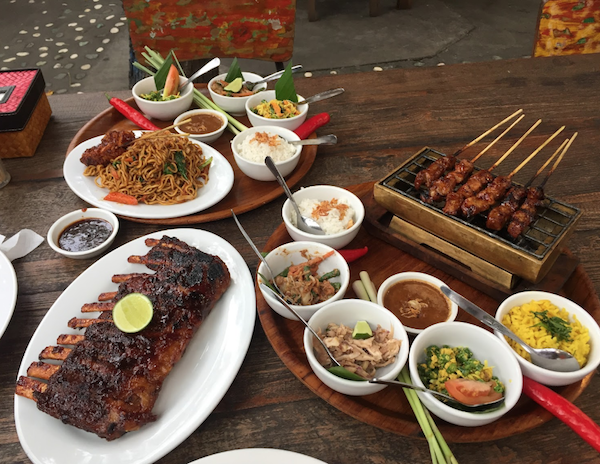 It’s not the cheapest warung available, but it’s one of the solid options of places to eat in Seminyak for Balinese food. But we seemed to be getting mixed reviews for their pork ribs. A lot of people seemed to be having the time of their lives tasting their famed pork ribs specialty here, some others, not so much. Who knows? Maybe pay them a visit and try them yourself! PS. You can apparently join their cooking class with a menu of your choice! 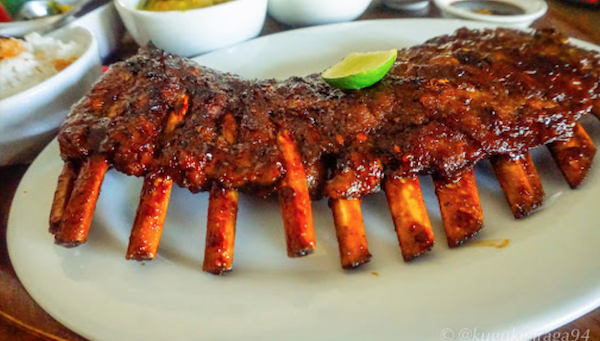 Pork ribs at Warung Nia Seminyak. 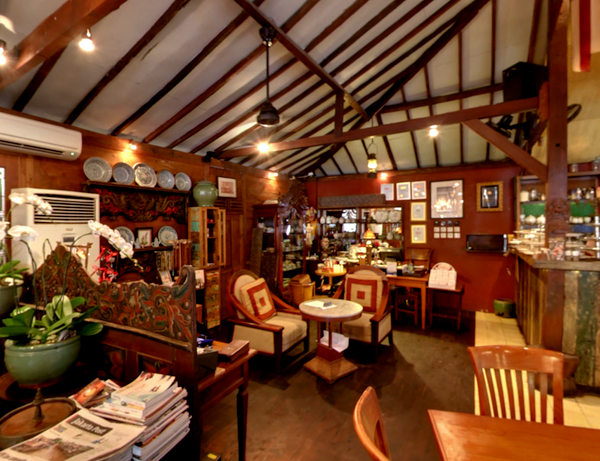 With an authentic Javanese architecture of Umah Joglo, Biku is one of the cafes with a nice ambience. 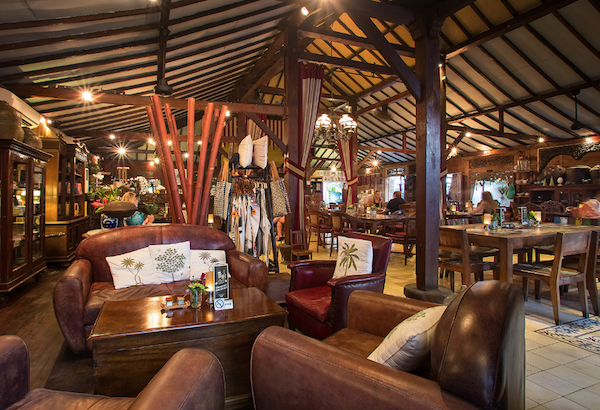 Once you step inside, you’re going to be greeted by a warm atmosphere reminiscent of old Indonesian houses. Wooden cupboards line up the wall, a signature of Indonesian old houses during the Dutch colonial era. The place feels very vintage. And to an Indonesian local, the place feels homey. Biku at Jalan Petitenget serves Indonesian as well as Western food. 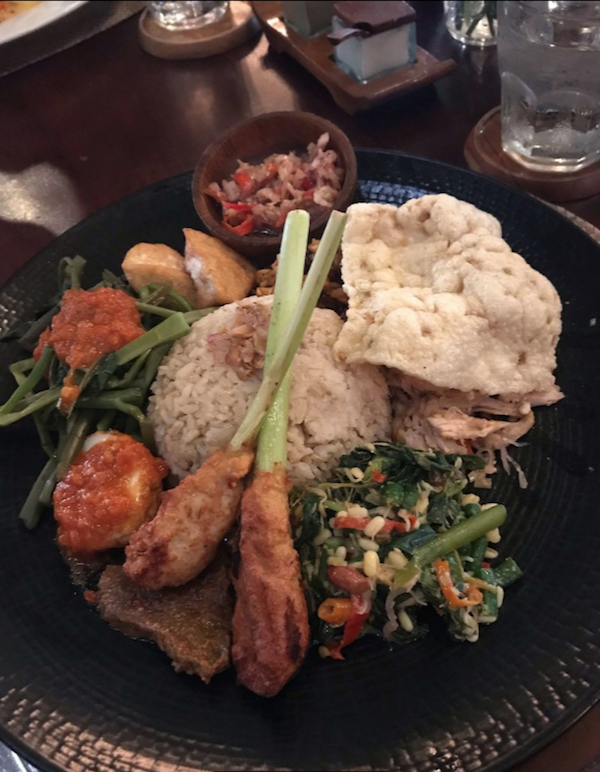 There are Nasi Campur a la Biku, Mixed satay of beef, chicken, and fish, Pepes (fish cooked wrapped in banana leaves and steamed or grilled), Sop Buntut (oxtail soup), and Babi Kecap (Pork cooked with sweet soy sauce), among others. For Western choices, they have a variety of nibbles such as the vegetable samosa. A variety of salads and meat pies are also yours to taste. Prices in Biku are reasonable. The cheapest dish is 38,000 IDR and the highest item is priced at 70,000 IDR on their All-Day Breakfast Menu. Find more information about their menu here. We have our Indonesian food options above. Now it’s time for more hip options of avocado breakfast and solid dessert option. 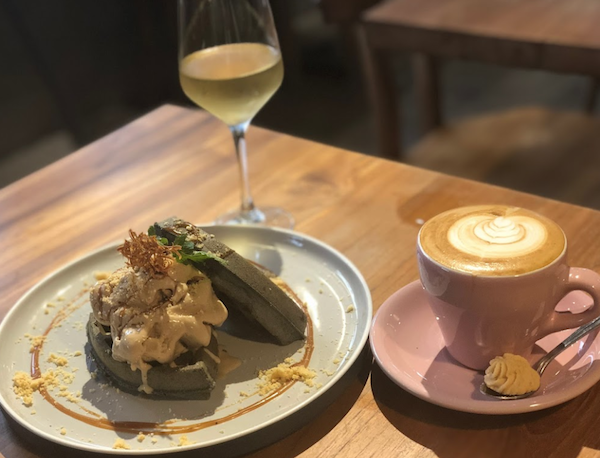 Crumb & Coaster is one of those Western cafes that serve solid Western food with good portions and without the crazy price tag. 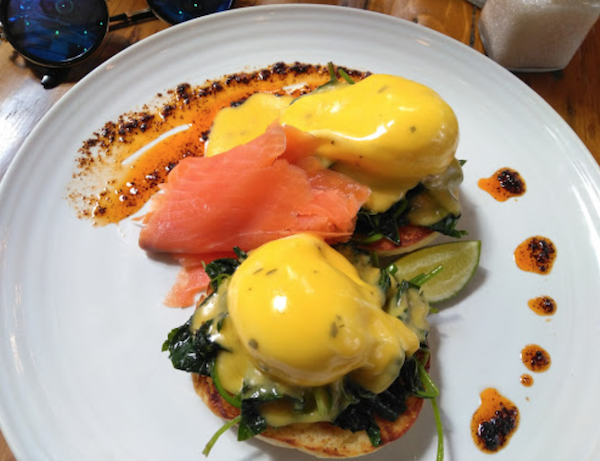 Their big bowls are genuinely filling and their breakfast and brunch menu are crazy tasty. Their refreshing avocado smash and the messy pulled pork burger are favorites! Crumb & Coaster serves lots of vegetarian dishes, vegan options, and gluten-free meals. So you don’t have to worry about your meals accommodation. Take a look at the information and prices, menu here. The place has a tasteful interior decor that contributes to the ambience of the dining. 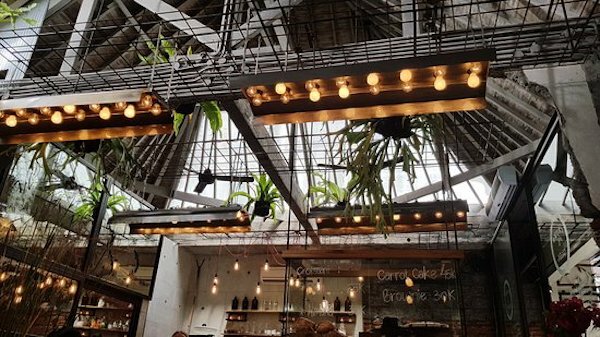 Plants are hanging off the partly open roof that allows the sunlight to get inside. Vintage furniture can be found at many corners of the room. It feels like dining at a comfy but spacey coffee shop. The decor is a definite Instagram-worthy content. If you want to go for something like Nasi Goreng, then you’re better off looking at other places that are two to three times cheaper the price than the ones on this list. Nasi Goreng, Mie Goreng, Bakso, and many other Indonesian food are so much better when you get them from the traditional warung. 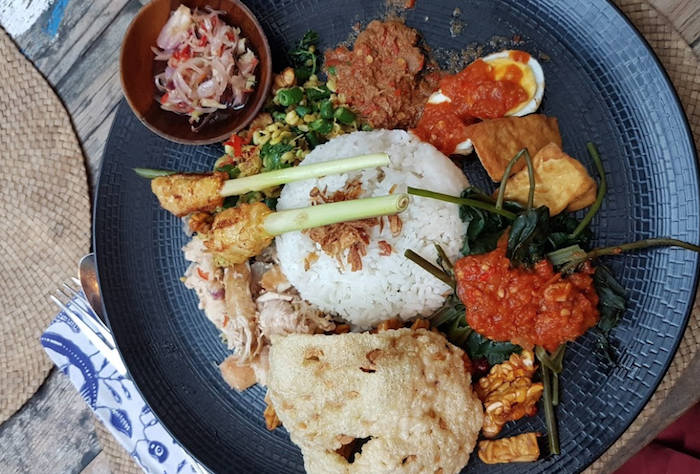 The usual warung, Rumah Makan (or simply a reasonably priced cafe aimed at youths) typically charge 10,000,- IDR to 30,000 IDR per one serving of said dishes. Especially if you care a lot about value for money. Unless you are looking for a hip or a fancy place to eat, enjoy the local food in an authentic setting with a very good price. 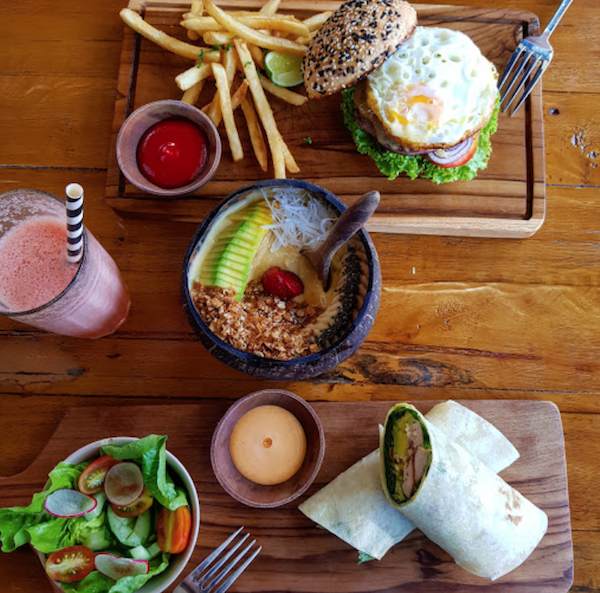 Having said that, the places we’ve featured here are a good place to start if before you go venturing on your own to find amazing local eats in Bali.